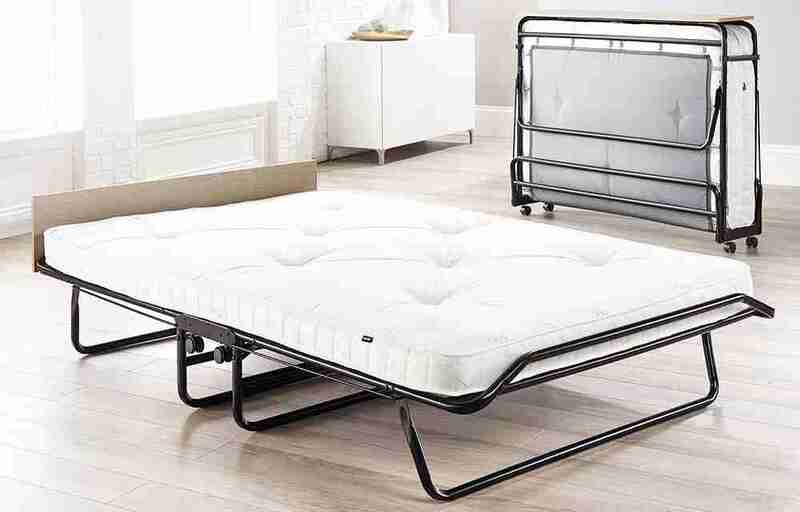 Combining luxury Pocket Sprung comfort with compact design and a larger sleeping area, the double Jay-Be® Supreme Folding Bed is perfect for unexpected sleepovers and regular visitors. 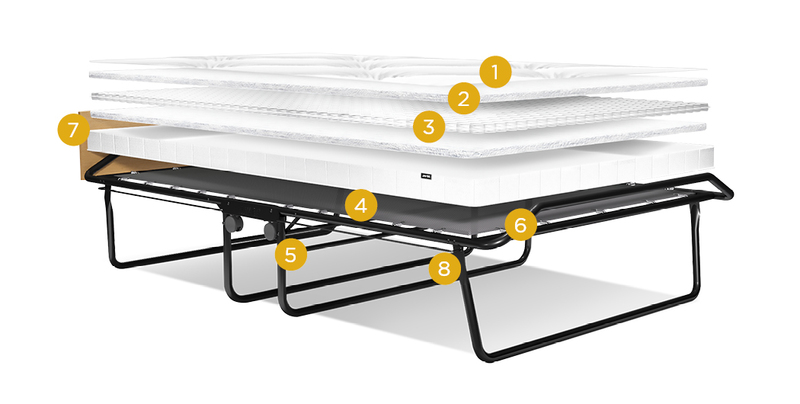 Resting on the durable Jay-Be® J-Tex™ sprung base system, the luxury mattress harnesses the latest patented Micro Pocket Spring Technology. Over 600 individual pocket springs are topped with sumptuous fillings and adapt to the contours of your body for exceptional support and comfort. The J-Tex™ base is made from PVC coated woven polyester, a specially engineered technical fabric designed to be stretch resistant and offer long term durability.